SOooo… with that in mind, let’s talk about the books in your life! 1. 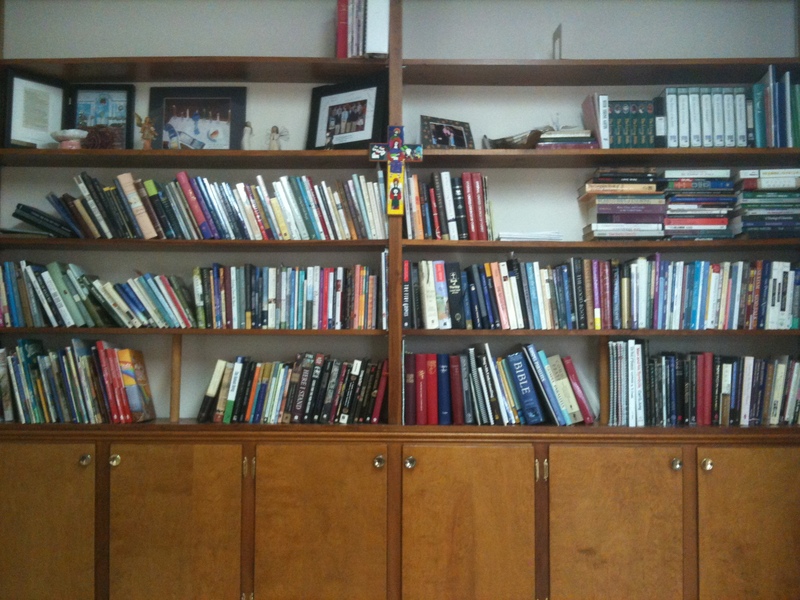 STUDYING: What is your favorite book or series for sermon prep or study? Or have you moved from books to on-line tools for your personal study? I don’t use books much anymore unless I find a particular word or phrase captivating/challenging and can’t get to a conclusion. I’m trying hard to let the Spirit move and not to borrow themes from other writers. But let me promote a one-volume resource I keep at home on the coffee table, just in case. 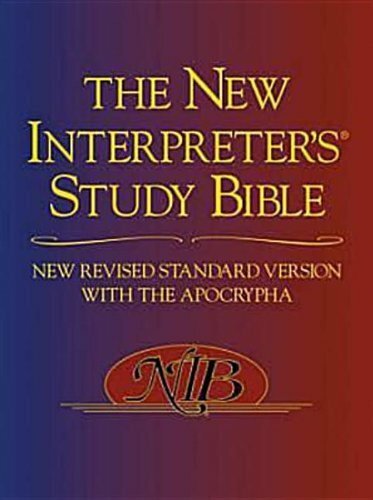 It’s the New Interpreters Study Bible, a one volume, NRSV, with great footnotes. I don’t live near my church, so having a resource at home that *stays* at home makes good sense for me. God Shows No Partiality, by Dave Barnhart — This is a great book setting up the case for being inclusive in the church, written by a Methodist pastor in Alabama who understands what a minefield it is to discuss including LGBT people in some faith communities. I highly recommend it. Christianity After Religion, by Diana Butler Bass — This one is on my Kindle, thanks to a gift from my friend, Jayne! As ever, Bass is smart and readable and honest about the realities of our culture and the church. A Thousand Mornings, by Mary Oliver — This is Oliver’s brand new collection of poems; I love it very much. And to be clear, it’s at home, but I consider it to be part of my spiritual and personal development to read poetry. 3. FAVORITE OF ALL TIME: What’s one book that you have to have in your study? Is it professional, personal, fun or artistic? (For instance, I have a copy of Alexander and the Terrible, Horrible, No Good, Very Bad Day. It just helps sometimes.) I have some favorite children’s books in my study at church, including “The Sneetches,” “The Velveteen Rabbit,” “The Carrot Seed,” and a lot of Christmas books. But let me tell you about two books I often dip into when I’m looking for something quickly as an opening reading or devotional at a meeting or other event. Why Jesus Makes Me Nervous, by Joy Jordan-Lake — I’ve used this as a Lenten study and frequently return to the thought-provoking stories she tells. Finding Jesus, Discovering Self, by Caren Goldman and William Dols — This made a fantastic group study book, using stories from the life of Jesus as a guide for healing and wholeness. Each chapter begins with a personal reflection from one of the authors, includes discussion questions and ends with thematic poems and prose quotations. It’s a rich, rich resource. 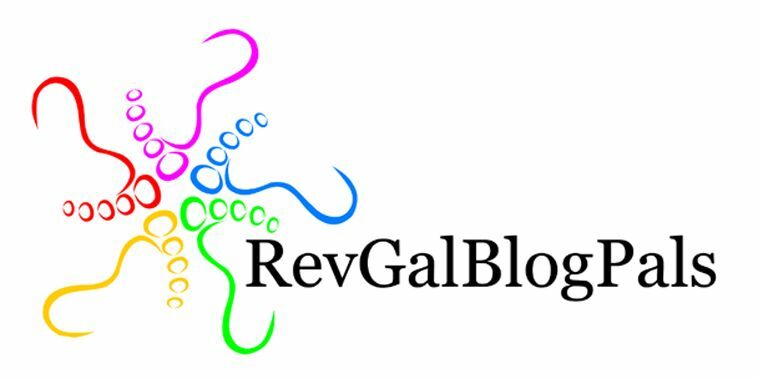 And here’s a new one I’ve already used and know it will remain on my top list, by a RevGalBlogPals ring member. Keeping the Feast: Metaphors for the Meal, by Milton Brasher-Cunningham — It’s got poetry, baseball, reflections on the sacrament of Communion *and* recipes! Really, you need a copy. Milton’s blog just moved to a new address, go and say hi: Don’t Eat Alone. I am excited that I will get to meet him in person in a couple of weeks! 4. KINDLE OR PRINT? or both? Is there a trend in your recent purchases? I tend to buy books for work in hard copy. I like Kindle for fiction and things that are too heavy to hold. I do have some professional books on the Kindle, but they are the exception. First, I like to mark them up, and then I like to be able to flip through and find the marks. You can make notes in Kindle, but it’s not the same as paging through for inspiration. Second, I like to be able to loan books to people who see them in my office, and on Kindle, they’re only visible to me. Martha, After reading Diana Butler Bass’ Christianity After Religion, I revamped my new comer’s class considerably. I found it right on point. Yes…DBB for me as well. I love your picture–and linking to your goodreads was inspired! thanks for playing! I covet your bookshelves with the cabinet doors below. Martha and anyone else reading or re-reading Christianity After Religion, I invite you to the discussion of this book on my Book Buddies blog. It’s set up so we can comment as we go through the book, chapter by chapter. We are currently talking about labyrinths because of a mention of them on page 56 in the book and one person confusing labyrinths with mazes. Just downloaded Milton’s book. I adore his blog and his “voice”, and I’m not sure why I hadn’t gotten to it sooner. And just a note to say I’m SO thankful for the gift… when I was serving a remote congregation in Alaska, I used to dream about having the Interpreter’s Dictionary (or ANYthing!) at my fingertips instead of in the nearest church library, 50 miles away. Between my new acquisitions and my own seminary texts, I should have an excellent “starter” library for rural ministry.